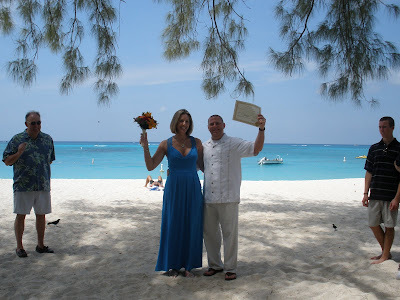 St Patrick's Day dawned bright and beautiful in the Cayman Islands, and although this simple beach wedding took place later than is usual for our cruise weddings it was still quite cool and comfortable and we enjoyed the shade of the casuarina trees along Seven Mile Beach. 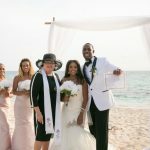 This couple sailed in on a cruise ship from Galveston, Texas with family members. 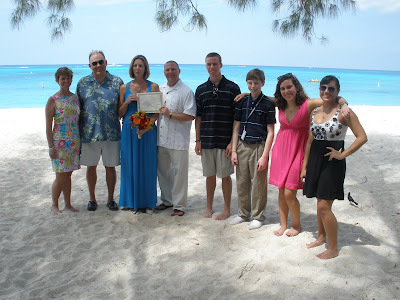 The bride's sister and her husband flew in to join them in Cayman for their wedding day. 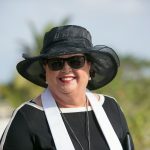 It was busier than usual at the Governor's Beach, but we managed to find a quiet spot. 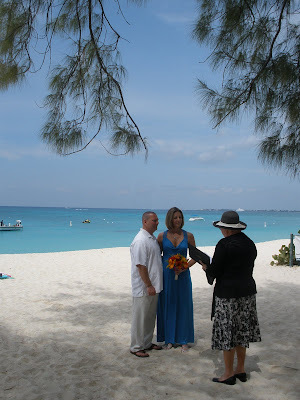 The bride was elegant in a simple sky blue cotton gown just right for a Cayman beach wedding. It's not over 'til the paper work is done. 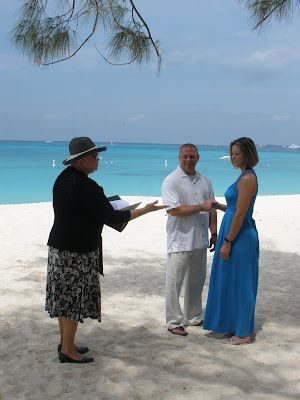 This bride and groom brought a Texas wedding license which they had procured prior to coming to Cayman. 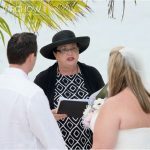 On the reverse there is an affidavit for me to sign and seal as Civil Registrar of Marriages. 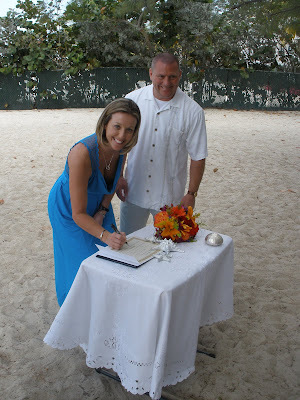 This will make it very easy to register their Cayman marriage in the state of Texas. Texas is the only US state that I know of which provides this facility. 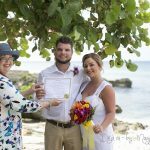 Of course, they still had to get a Special Marriage License from the Governor of the Cayman Islands in order to have a Cayman island wedding. After the wedding the whole group headed for George Town to find some green beer. My son and I headed to the Triple Crown pub for our St Patrick's Day lunch of smoked herring, corned beef and cabbage, Irish stew and Guiness on tap.